The Smash Ultimate tier list is still being refined, but it seems as though princesses and two yellow rodents are taking the cake. Here’s how to fight back. Melee is the name of the game here, as all but the third spot in the Smash Ultimate tier list consists of fighters introduced in the second of Nintendo’s brawler series. Why are these characters the ones that are so high up on the tier list? It may just be that the Melee competitive scene trends toward the characters that they feel most comfortable with. After all, Melee continues to be the most popular scene in the Smash Bros. meta. It’s true that all top five characters are very good, with each having attributes that give them just a tiny leg up on the high-mid and mid-tier characters. Honestly, almost every Smash Ultimate character is viable, if you know how to tool around with them. While these are technically the fighters that are performing the best in Smash Ultimate, I would highly suggest you pick a character that fits your playstyle the best. For instance, I have played as the infamously low-tier Zelda ever since Melee, and now that she sits comfortably mid-tier, I have a lot more tools at my disposal to throw off players that are only used to playing top-tier characters. It’s tough to find a balance when it comes to approaching the top five on the Smash Ultimate tier list. It’s often dependent on the playstyle of the person behind the character, as at the end of the day, these fighters are only code that is applied in a strategic manner by professionals that train endlessly on developing their craft. I don’t exactly agree with all of the list, simply because the Smash Ultimate tier list majorly takes into consideration the winrates of popular characters. There are others, such as Ness, that in my opinion belong much higher on the tier list, but they are not as popular as the top five, and therefore they sit lower down on the tiers. It takes a lot of research and time to get good at Smash Ultimate, but with a little help, you may just find that the top five aren’t so scary after all. 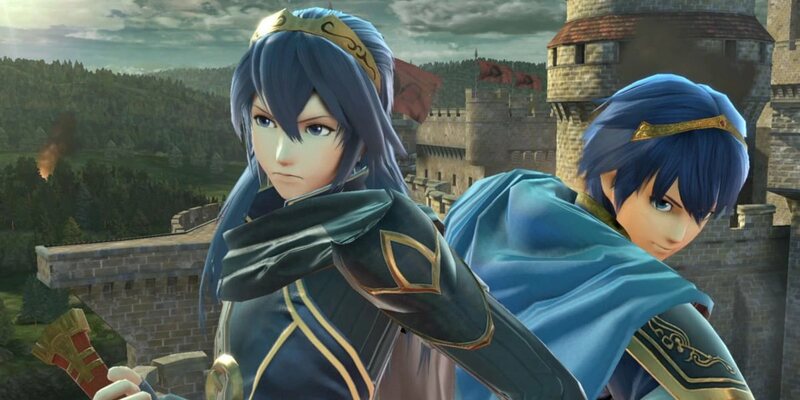 The Hero-King and his doppelgänger have a slight difference: Marth has a tipper, and Lucina does not. Other than that, they perform similarly and have roughly the same hitbox and character model. Choose either depending on whether or not you depend on a tipper or a more consistent damage output. I lean toward Lucina from that perspective, but take your own personal approach there. Marth has always been a top-tier character ever since his introduction in 2001’s Game Cube Smash title Melee. While in that game he relied on chain grabs, he still maintains his long sword (only to be topped by Cloud’s buster sword) that does a great job of zoning most characters out. He can space you out with this range, making him a tough character to approach. Don’t be intimidated, though, because as he approaches you, counter with a shield grab or a counter. He still has his shield breaker, so be careful with how long you leave out your shield. His up-b is spammable off-stage, so don’t try to approach him often, unless you have a counter that can eat through it, and send him flying away from the magnet-hands range for the ledge. The best characters to combat this aggressive playstyle are Palutena, another Marth, Roy, Incineroar Ike, Chrom, and Peach/Daisy. Roy’s our boy! This Smash mainstay hasn’t seen as many buffs as the top three on this Smash Ultimate tier list, but that’s okay, because at the end of the day, he majorly benefits from the physics of Ultimate due to his fast falling airspeed and aggressive ground approaches. Much like Marth and Lucina, his side-b combo was one of the biggest boosts to this character’s killpower in Ultimate. While Roy can be gimped offstage a little bit easier than the more floaty Marth/Lucina, he is a bit harder to get off stage due to his heavy armor/bodyweight. If you’re unfamiliar with Roy, he has an inverted tipper toward the hilt of his sword. 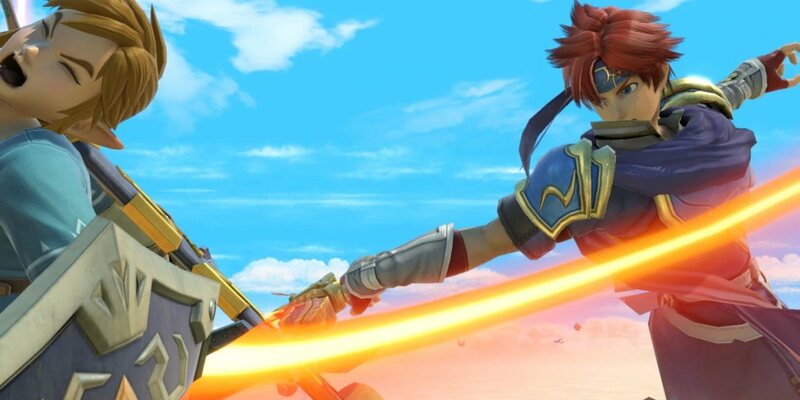 Meaning, unlike Marth, the inside of Roy’s sword will deal a very significant amount of knockback, while the rest of his sword (as it has been affectionately referenced by the Smash meta), will hit like a wet noodle. Keep this reverse tipper in mind when watching a Roy standing still. He isn’t going to approach you often, because he needs you to be lured into the trap of his reverse hitbox. If you don’t get too close, he will be left with the only option of approaching you with a weak upair or nair. They combo, but are a bit predictable. The two other buffs Roy saw in Ultimate are the improved semi-superarmor for his out of shield up-b, along with the ability to switch directions while he is charging his neutral-b. He can be thrown off stage if you find a safe way to approach him while he is standing still, so projectile spam him to annoy him enough into approaching. Ness, Lucas, Young Link, Palutena, and Olimar may be your best choices to counter this Fire Emblem protag. Pikachu, much like his pre-evolution Pichu, are known for their extended combo abilities. They both have great recoveries, and are able to gimp a lot of opponents off stage much quicker than they would have been able to in the air-dodge heavy Smash 4. The best advice I can give you for facing off against a Pikachu is to avoid most of his aggressive attacks. Forward tilt is a surprising kill move, and nair strings together to create a pretty impressive combo loop that’s hard for big bodies to get out of. Pikachu might try to go offstage to stage spike you with a back air, or to even properly spike you with the down-air. See, in Smash Ultimate, spikes operate differently than they did in any other iteration of Smash Bros.. The unique thing here is that the blastzone comes even closer than it usually does when you’ve been spiked, making recovering from them more difficult than ever before. Watch out for thunder spikes all the same. I’m not gonna lie, you’re fighting an uphill battle against any good Pikachu. Remember to not get flustered, and to consider using a character with a decent reflector, such as Fox, Wolf, or Palutena to stop the thunderjolts in their tracks. The meta considers Pichu and Pikachu different enough to categorize them as two separate characters. 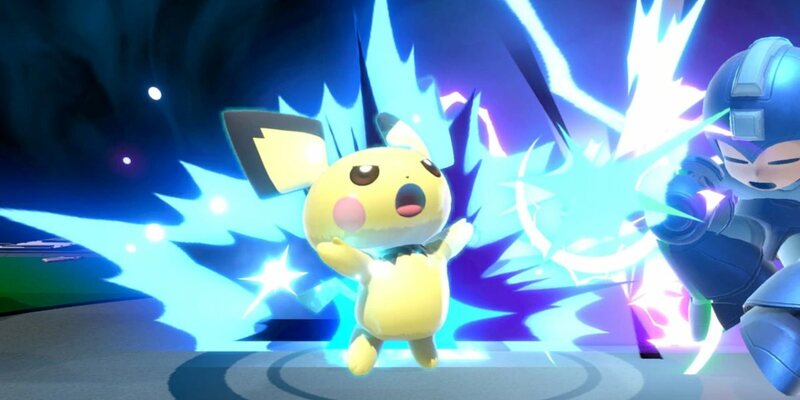 If anything, that would make one think that Pichu, the Pokémon known for hurting itself from its usage of electric attacks out of its tiny, underdeveloped body, would be lower in the Smash Ultimate tier list than high-tier mainstay Pikachu. Wrong. WRONG, wrong, wrong. 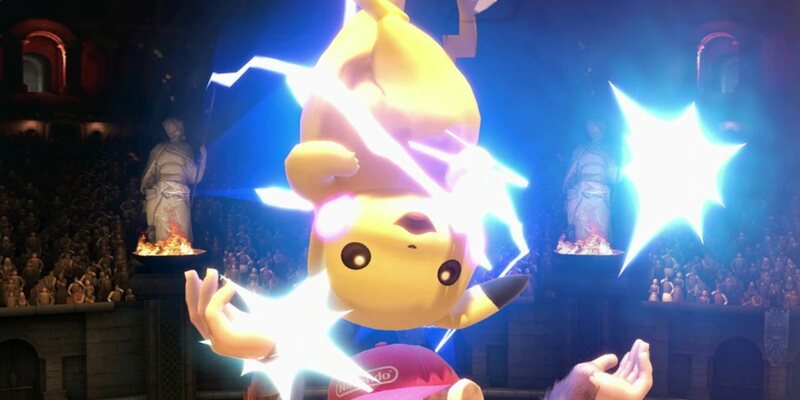 Pichu is just that much better than Pikachu, even with it doing damage to itself upon using electrical attacks. Why? Its tiny body, speed, and extended juggle abilities make it a better fighter than Pikachu. Pichu is quicker than Pikachu, which gives it the upper hand in nearly every advantage or disadvantage situation against any fighter. The way to approach a Pichu is to not. You need to be defensive here, and you need to find a way to get past all of the thunderjolts and quick attacks. When a Pichu takes a breath and isn’t harassing you, you need to take your opportunity to either grab it or use a quick aerial on it. It’s the lightest fighter in the whole game, so keep that in mind when you’re looking on in horror as it racks up an incredibly damaging combo on you. It can’t survive a higher percent, evening out the playing field against the mid-weight characters. Do not use a heavy or big-body against Pichu. It will shield poke and apply shield stun to you for days, and if you get caught in a combo, expect it to end in a nasty thunder spike kill much sooner than you would have preferred. Rather, go for a floatier character, such as Peach, Falco, or Marth to combat Pichu’s gimping and long combo abilities. Before we jump into this duo, it should be noted that the only difference between the two are their Turnip knockbacks. Their turnips scale differently in terms of knockback at certain ranges, and if I had to nitpick here, I’d say that the higher knockback on Peach gives her a slight advantage over Daisy’s turnips, although it could be said that the lower knockback of Daisy’s turnips allows for longer combo strings. But I digress because other than their aesthetics, picking either character is definitively the best choice of top-tier character. They can float cancel, consistently tripping up opponents with their varied approaches and quick aerials. Their aerials are safe on shield, making them incredibly difficult to punish. 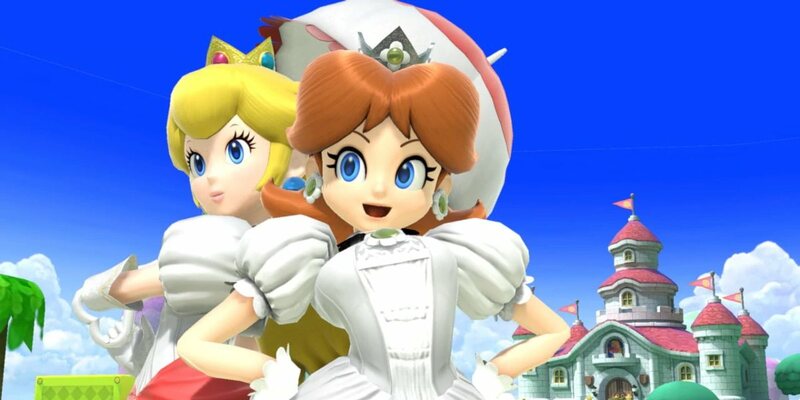 The first thing you want to do when facing off against a Peach/Daisy is to desperately avoid her downtilt. It leads into a nearly 100% true 0-to-death, and is not the way you want to lose a stock. There are few that can even tank her repeated downtilt into nair/forward air combo strings, and honestly, it’s not worth taking the risk. Much like with Luigi’s down-throw 0-to-kill, you want to make sure you’re only approaching from the ground once you’ve gotten up to around 25% on your own character. This percent will allow you to SDI (Smash directional influence) away from the 0-to-kill, giving you a fighting chance against the princesses of the Mushroom Kingdom. For the rest of the match, proceed with caution. Between the random item draws of Mr. Saturn, the Stitch Face turnip, and Bomb-omb, there is just too much going for Peach/Daisy to give them a leg up. They’re almost always going to be approaching with an aerial, so when in doubt, choose a character, such as Ness, Palutena, or Zelda, that is able to stop aerial approaches with defense projectiles and defensive walls. What are your tips on how to defeat the top characters in the ‘Smash Ultimate’ tier list?